This review covers the base model 2014 Fiat 500 or the Fiat Pop hatchback version. The 2014 Fiat 500 is a great city car. It has excellent fuel mileage, a spunky feel, and is all around fun to drive. It fits four and still has room to tote around small items. The sport, turbo, and lounge models all offer better features and options than the base model for additional costs. The 2014 Fiat 500 is very quick to turn around corners. In the city, it hugs the curb and glides around turns easily. It is nimble in crowded city streets. The new Fiat 500 is great for running errands and taking short trips. Those commuting frequently, college students, and couples enjoy the feel of this car. With all wheel ABS disc brakes and traction control, the Fiat 500 is able to stop as quickly as it can turn. The Fiat 500 has a strong braking system designed to keep occupants safe and sound. The electronic braking distribution and 4 wheel disc brakes enhance the braking power and the speed of stopping is perfect for emergency braking. The 2014 Fiat 500 does really well with fuel. It gets on average 30 mpg in the city and as much as 44 mpg on the highway. The gas tank holds just over 10 gallons meaning it usually gets between 300 and 400 miles per tank. This minimizes the amount of stops for fuel and frees up more time for driving. This model has a lot of convenient items like front and rear cup holders, cruise control, a front armrest, bucket seats, and adjustable headrests. The 2014 Fiat 500 also has individual tire pressure gauges with low air indicators. Split-folding rear seats make it easy to stow large items like tables or lawn furniture. A cloth interior keep the seats cooler in hot temperatures and leather trim keeps the steering wheel warmer in cold temperatures. Because this beauty has front wheel drive and a 5 speed transmission, it has a lot of pep and can turn corners tightly. It accelerates fast enough to be fun to drive through city streets with ease. It buzzes around like a little bee with the 101 hp engine and manual transmission. The 2014 Fiat 500 has several airbags including front seat side airbags, airbags for the driver's knees, airbags for all occupants head areas, and car seat anchors. Traction control, stability control, ABS, and brake assist systems all help keep riders safe. Tilt wheel steering allows drivers to position the steering wheel in the most comfortable place. Bluetooth capabilities ensure the driver always has eyes on the road and not fidgeting with radio buttons or cell phones. Grabbing groceries, hauling sports equipment, travelling between college and home, and carrying around yard sale finds are great ways to take advantage of the space available in this model. The Fiat 500 offers 26.8 feet of cargo space when the back seat is down. With the seat occupied, there is still plenty of room with 9.5 feet of cargo space. The slightly tinted windows, black window trim, and black grille offer a touch of class to the Fiat 500 while the rear spoiler catches people's eyes. The Fiat 500 may be small, but it is sleek and trim with little overhang and wheel covers to improve the aerodynamic feel. This slim design also helps save fuel on the highway and during long trips. 15 inch tires give the 500 a good base to maneuver tight corners. They are small enough to let it maneuver in tight spaces. They are also big enough to keep a large surface area in contact with the road surface for the best safety. The price for the base model 2014 Fiat 500 is just under $17,000. This means it is very affordable. Options can be added for up to $6,000 more depending on owner preference. Windy conditions are not the best time to drive the Fiat 500. The high center of gravity allows the vehicle to be pushed around. Taking winding roads on a regular basis can also be difficult. Although the suspension is great at city speeds, it can become really rough at highway speeds. Bumpy roads and potholes are not much better for the ride. It can be particularly uncomfortable on long commutes and excessive highway travelling. The 2014 Fiat 500 is not great at sitting still when travelling highway speeds. It can feel like it is going to tip over when taking high speed turns. The body tends to roll over onto itself very easily. 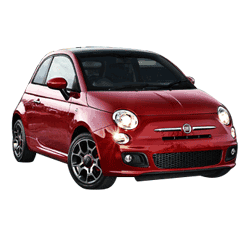 The 2014 Fiat 500 is a great car for people that live or work in the city. It does not do well on long trips or the highway. 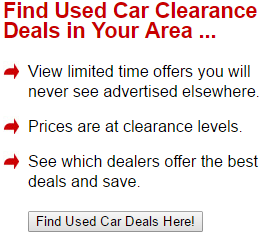 The low price on the base model and the fuel economy are great for those on a budget.